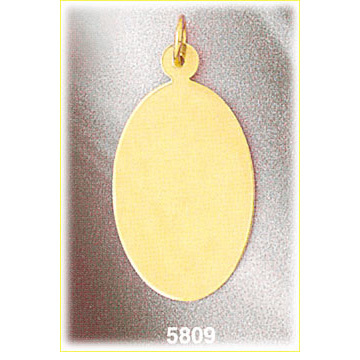 The 14k gold engravable oval customizable pendant is a captivating accessory for day and eveningwear. 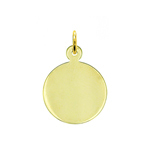 Irresistible 14k gold coordinates perfectly with your choice of chain and is finished with a shimmering high polish. Choose to have your oval pendant engraved with our high quality laser engraving technology for a custom pendant that is truly your own also allowing you to choose from a glistening birthstone setting. 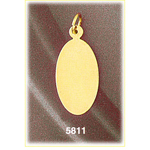 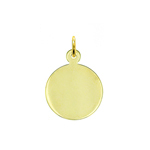 Pendant is crafted in 14k yellow gold featuring a polished finish with flat back, it measures approximately (18mm - 3/4") in width by (28mm - 1 1/8") in height and weighs 2.9 grams, it is recommended for necklaces.